Kuehne + Nagel has developed a new logistics hub in the Chilean capital city of Santiago. The hub will form part of its pharma and healthcare operations, providing a multi-modal logistics solution for temperature-controlled door-to-door transportation. The facility will provide an area of 17,600 sq m for storage and distribution of temperature-sensitive products, which can be extended to 23,300 sq m, including a cold chamber to handle temperature requirements of 15 to 25°C and 2 to 8°C. A renewed laboratory for quality control allows customers to comply with the regulatory requirement to carry out local analysis of imported pharmaceutical products. Additionally, GMP compliant repackaging and relabelling areas following Chilean and international specifications will be available as value added services. The Hub will use clean energy via a geothermal system to keep the temperature of its general area between 15 to 25°C. By occupying the air that circulates through the subfloor a significant reduction of energy consumption will be achieved. 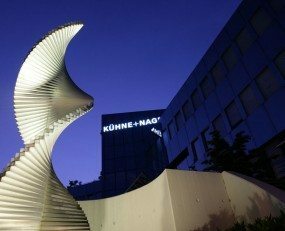 “With more than 40 years demonstrating commitment to the Chilean market, this cutting-edge facility will leverage the knowledge and experience of our specialised teams and enable Kuehne + Nagel to offer its unique pharma solutions to an extended customer base.”, said Ingo Goldhammer, President of Kuehne + Nagel South & Central America.